There are 21 posts in this thread, and it has been viewed 12469 times. 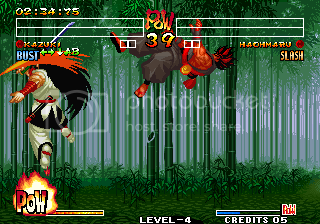 SNK knew they had a good thing going with their Samurai Showdown series in 1995, so they released two SS games in one year! Samurai Shodown IV is no mere upgrade however. It is often named as one of the best games in the series. Released on: MVS, AES, NeoGeo CD, Saturn, Playstation, Playstation 2 (in Samurai Shodown Anthology), and PSN. After Samurai Shodown III was somewhat poorly recieved by fans, SNK went back to the drawing board and made a few changes to the sequel. Fan favorite characters return, and it's a much more colorful and (arguably) tactical game. Probably the best fighting game of all time, certainly the best of the SS series that defo deserves the praise it receives. Difficult to put my finger on it but the whole experience just feels so perfect, its a game that I am pretty sure I will play for the rest of my life. Any NG owner must have this game, in fact any gamer worth his salt should have this game and as its available on PS2 & Jap Saturn even non NG owners can acquire a copy. Umm sod it im gonna call it the best 2D fighter ever ( which I could say the same for about 4 games I love) but SS4 can have that privilege today. Its such a cool game, in fact its cool as f*ck. a place in my heart as my favourite SS title, there's no doubt at all imo, that SS4 is easily the best Samurai Shodown in the series. If anyone was to own only one SS in their collection, let it be SS4. The fourth installment of this legendary series is just as good as most players say. 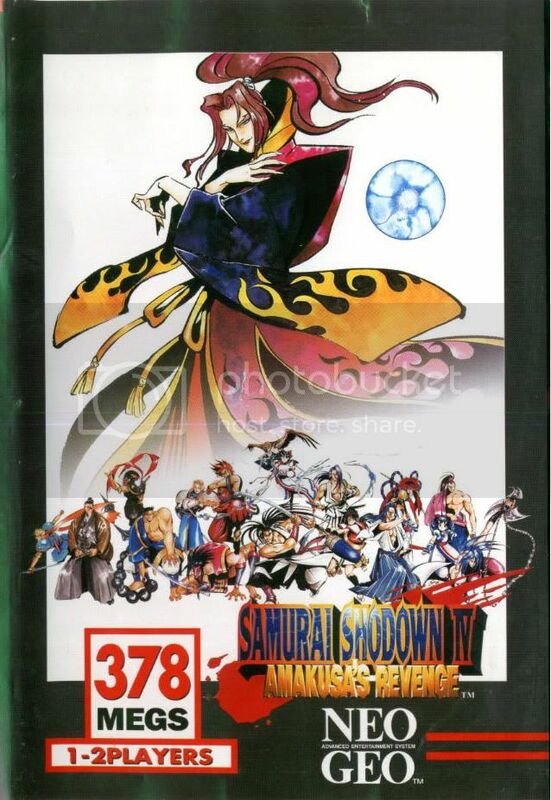 The original SNK team implented lots of gameplay improvements for their last 'real' Samurai Shodown, although it doesn't look as good as the predecessor (which I think is still the best looking and, just like Ninja, my favourite one). I think Samurai Shodown 4 is ideal to introduce new players into the series as this one offers the best character roster and the most sophisicated gameplay. Furthermore it isn't as difficult as some backbreaking prequels like Samurai Shodown 2. A cheer for this masterpiece! Quite a few votes for "best SS game" so far! The only reason I didn't pick that option is because I haven't played all of the other games enough to fairly judge them. Hell, I probably haven't really played IV enough to fairly judge it. The SS gameplay still doesn't appeal to me as much as say Last Blade does, but I still appreciate it and it's still a great game. I agree with neogeoninja e murikov, if i have to play a game, i prefer to play SS3, but SS4 is a more complete game, to play with a friend there is no doubt SS4 is better. I gave my vote as best NG fighter. Hey guys, haven't been active here for a while. But at this point, I just got to say: I will forever love this game! The atmosphere, the music, graphics, characters, dramatic fights. It just has it all. Unfortunately on high level play, it is pretty broken, which makes 5Special, which is very balanced, the better option for tournaments. But I don't care, Samurai Shodown IV forever! Welcome back Yao good to see you posting again. I voted 'Best NG fighter. Period.' 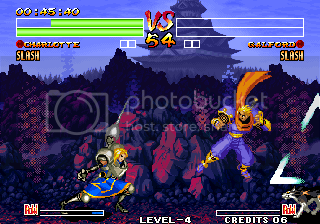 Samurai Shodown 4 is my all-time favourite fighting game. I love everything about the game. Graphics are fantastic, I like the dark atmosphere, the gameplay feels perfect (CD combos and Issen are great new additions to the gameplay) and I love the slash/bust system effectively doubling the cast of characters. The only very slight issue I have with the game is the time limit in single player mode which was a bad idea. The next two MVS Samurai games were a disappointment. 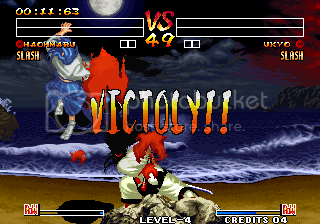 Samsho IV is pretty much one of my top 5 favorite fighting games, period. The only things I don't like about this game are that the opponents in 1P mode are pre-selected and that you can't switch characters in vs. mode if you're winning. You also don't fight a lot of Bust characters in 1P mode though, the majority of opponents are in their Slash version no matter what. I only have LOVE for this game! The best in the series no doubt ! I was going to ask you guys which Samurai Shodown is generally regarded as the best, but this topic has sort of answered that question. I never really got into SS 2 or 3, I found the Last Blades to be much more enjoyable. I would like a SS game though, so I reckon I'll give 4 a go. Actually SS2 is maybe almost as good as this! SNK really did there best with SS2. I still think that game was their flagship! There is so much detail going on in the gameplay and visual department that the game feels new almost everytime I play it. SNK really pulled it off with Samurai Shodown II. I'm really amazed everytime I play it. 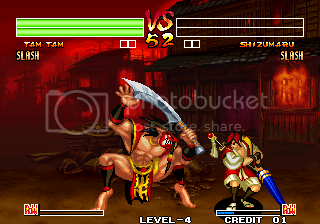 SS3 is considered for a underrated fighter game and the underdog in the Samurai Shodown series. I maybe agree but I've only really played this on my Saturn. I have to get me a copy for my Neo Geo System very soon, so I can give it some time. I'm starting to appreciate this game more. There is so much more to the gameplay than I thought of before. However, I still think that SSVSp and SSVI are the best in the series gameplay wise. SSIV also has a great soundtrack and great graphics/setting/etc. I havent played 4 yet, i have it on NGCD, it takes a f***en age to load, then when i get to JUST about start the fight, it has some sort of error. Not that i dont love SS3, i just find it extremely hard, but it sure is a wonderful game!! I also find 2 harder than 1 cause it doesnt allow me to play the same way i do in 1, but playing SS2 is still not ultra hard like i find 3 to be. Select Hanzo, and perform Shadow Copy (f,hcf+A), then before it ends perform overhead slash (BC), which will make Hanzo stay in "background" for brief perioud of time (you can see it because his shadow changes position), after this you can use OTG Shurikens (qcf,u+C) over and over, which will keep Hanzo in background as long as you want, and opponent will be unable to hit him. whilst i expected to see some love for this game, i must admit to being taken aback by its popularity here! i loved it myself when i first brought it, but after the novelty of using the extended roster had worn off a bit, my enthusiasm waned. as there has been a roll call of neogeoforlife royalty including merlin and ste c to champion its merits on this thread, i will here present the case for the opposition. a key criticism i have with it is the lack of difficulty. whilst it ratchets up somewhat after a few fights, i seriously believe that a child who has never played a videogame before could get through the first fight or two even on the highest levels by banging buttons randomly. this for me really detracts from its appeal, as i dont play online using emulators and dont regularly meet friends who are good at gaming. for those who only play single player, this is a serious weakness. graphically, it is a step back from ss3. although i can understand frames being cut to accommodate a bigger roster, its still a shame. atmospherically, it is also a step backwards. the move away from stage-specific background changes in ss3 to the more generic purple amakusa effects in round 3 when both players have low health was a mistake. i can only suppose this was also a meg-count compromise. the biggest failings as i see it, however, are the combo system and the timer, and they are both related. for me, samurai shodown was never about combos. it was about accuracy, and thoughtful but fast, reactive gameplay suited to the samurai theme. combos, whether you like them or not, are a masive departure for the series. their inclusion here represents an attempt to take the series in a new direction, which for me didnt make sense. while the energy bars were doubled, doubtless in response to criticisms about its prequel, single fierce attacks still do massive damage. as they should, in my opinion. theyre using swords, for christs sake! in ss3, the matches can be over very quickly, or go to time, punctuated by fast clashes, weak attacks and zoning. there is a tension as matches can end in a few moments if you relax, no matter what advantage a player has in health. ss4 lacks this tension. instead, players have the timer ticking away in the top corner, encouraging fast attacks and aggressive gameplay to get a higher score. it doesnt make sense to me, particularly as some of the returning characters are better suited to a less frantic play style. overall, these criticisms dont make it a poor game in my eyes, but certainly prevent it from being one of the all-time greats, particularly as a single-player experience. it is notable that for the next (and final) ss games, the introduction of the sword gauge sought to re-introduce more of the old-skool thoughtfulness of the series - which didnt work, as far as i was concerned, as having different strength attacks already took care of that one. heresy, ye say! well, i do like the game, but feel it is massively overrated. Interesting to hear your thoughts about the game Basashi. It does sound like you're judging the game based on the single player experience and I wonder how you would feel if you were mainly playing this in versus mode (by far the best experience). Why not give SS4 a try online Basashi? The game has a lot of fans so it won't be hard to find someone to play with. Far more enjoyable than playing against the cpu. I agree the timer was a bad idea and makes you feel like you have to rush in single player mode but since it doesn't apply to multiplayer it's a very minor issue. Yes the first few opponents are very easy to beat but that's not that unusual for MVS difficulty level in an SNK fighter. To clear the game on 1 credit is not easy for most people. Amakusa and Zankuro are quite a handful. Only one person has entered the HSC for this game. I like the addition of the combo system because it adds a bit more depth and variety. You could just choose to ignore the CD combos though and not use them making the game play more like SS3. The Rage Explosion and Issen help to make matches very exciting. One other reason I prefer SS4 over SS3 are the additional characters. I particularly enjoy using Charlotte (Bust). You are right that the sprite animation isn't quite as good in SS4 but it's still more than adequate and the sprites look very good. All the stages in SS4 look wonderful especially the stage with the cherry blossom trees. Meh! Not really a fan of the 4th game. A buddy of mine bought it so I played it when he came over, but I never plopped the money down for this one. hey merlin, thanks for the thoughtful reply. youre quite right, much of my criticisms are against the cpu ai. its really annoying as i recall - the early opponents are dumb, and the later ones - kyoshiro, if i rember, is particularly notorious - just seem to block everything and are ultra cheap. im my own limited aes collection, enemies usually start fairly tough - and become rock solid!!! which i like, until it gets to last-boss-ridiculously-insane levels. 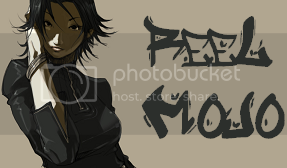 i would definitely like to get into some online scrapping (ss3 AND 4 as i havent really done either in 2p), but unfortunately i really am too snowed under with projects at the moment to get involved in a session (or even reply here as extensively as id like). hopefully that will change by next summer, in which case id love to take you on! until then, i sneak in 30min - 1hr 1p sessions when i can!